If I say the word ‘compromise’ to you, what’s the root of your first reaction: positive or negative? Compromise can be strongly positive: the grease that keeps the wheels of equitable exchange turning; a foundation for agreement; a concession we’re willing to make in exchange for some benefit. A win-win. But there can also be strongly negative connotations to the word: when referred to as capitulation or surrender; a giving-up of principles or materials. A lose-lose. So, what is compromise for you? Positive or negative? One of the primary benefits of spending any time with a coach is fresh perspective. And with this newfound clarity, one of the first things my clients notice as negatively impacting and so most needing of change are the compromises they’ve not consciously chosen. The (negative) compromises that have emerged and developed over time, without our intention or explicit involvement. And nowhere more so than within their careers. 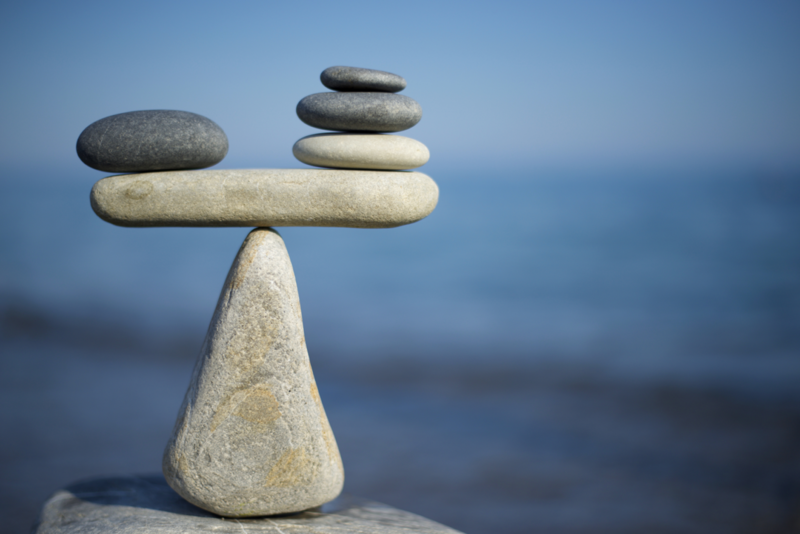 Compromises that have become unbalanced or misaligned. Compromises that are no-longer ecologically-sound (not harmonious). Compromises that we haven’t signed-up for or (ever!) accepted. Some of these consequences will be the small, mildly-irritating and regularly-occurring ‘tolerations’ that ebb at our time, energy and patience every day. The things we’ll sort out tomorrow, next week, next month, next time. Taken together, these consequences (still) come at quite a cost. And then there are the consequences that run to the very core of our being: Time. Energy. Principles. Values. Health. Balance. And before we know it, we’ve lost sight of our long term goals and aspirations. Our compromises have placed us on a different path. And we’re no-longer working according to our vision or agenda, but someone else’s. And we’re no longer compromising just our career, but ourselves. And life’s too short for a career that doesn’t love us back. Such compromises haven’t just happened. We’ve been involved. If only implicitly. We’ve been silent. Passive. The word might even be: complicit. And that’s understandable. Such career-led compromises happen gradually over a period of time – and so they’re easily overlooked. They become woven into the fabric of our day-to-day . And we don’t notice what we’re now tolerating. What we’ve given-up on. For some much-needed ‘clarity of distance’, take a mental step back. View your career from a new perspective. And notice the uncomfortable compromises you’re making. What are you allowing to continue? What have you lost sight of? Look for things that cause you discomfort. Things that drain your energy. Things that cause you stress. Things that, given the choice, you wouldn’t include in your life or career. And as you ask yourself these questions, give your thinking that freedom of choice by imaging, just for a moment, that anything and everything is possible. And reconnect with what’s most important to you by reflecting on your priorities. Because in the end, all we have are priorities and choices. And when we remind ourselves of that, we give ourselves a whole new perspective on compromise.